Elephant trekking, circuses, jewelry. All of the following sound great, right? Hmmm, well not quite. How about we take a closer look. The Asian elephant is a beautiful, majestic, intelligent animal that is full of spirit. But, people abuse them and turn them into something far from their natural state. When you think of trekking and circuses initially you might think, “Oh what great fun! Can’t wait to post this to my insta and share with everyone under the sun!” To let you in on a “little” secret, trekking alone forces more than 500 kilos onto an elephants spine, and to do such things are inhumane to say the least. One must be willing to break the spirit of an elephant to see such astonishing acts (and I don’t mean that in a good way). Elephants can feel emotions; emotions like love, anger, and fear, just like us, so why would we force them to endure this literal weight? No, I’m not talking about the middle school “relationship” we all had where you think someone is cute from across the playground. No, not at all. I’m here to address the elephant in the room, literally. The crush, as it’s called, is done to break the spirit of an elephant, the process which requires spears, fire, slingshots, guns, and chains. 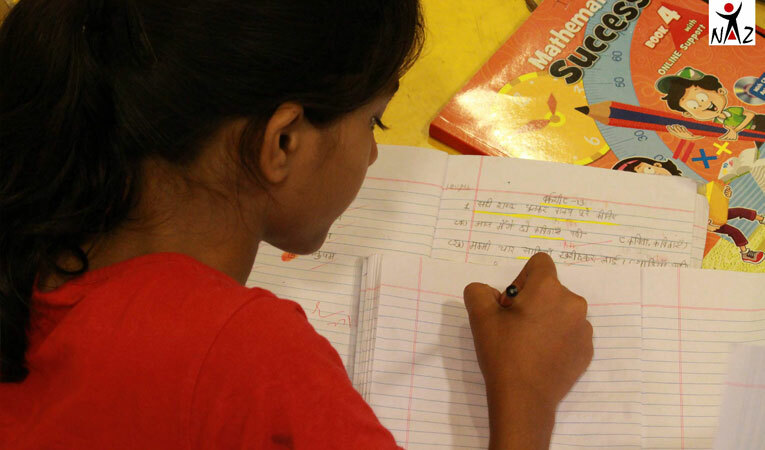 In addition, there are even beatings with sticks, chains, or bullhooks, on top of sleep deprivation, hunger, and thirst. All of this is done to “break” the elephant and make them entirely submissive to their owners. They could also be shot in the eyes to cause blindness, forced to breed to increase profits, enslaved by the logging industry, and the list goes on. 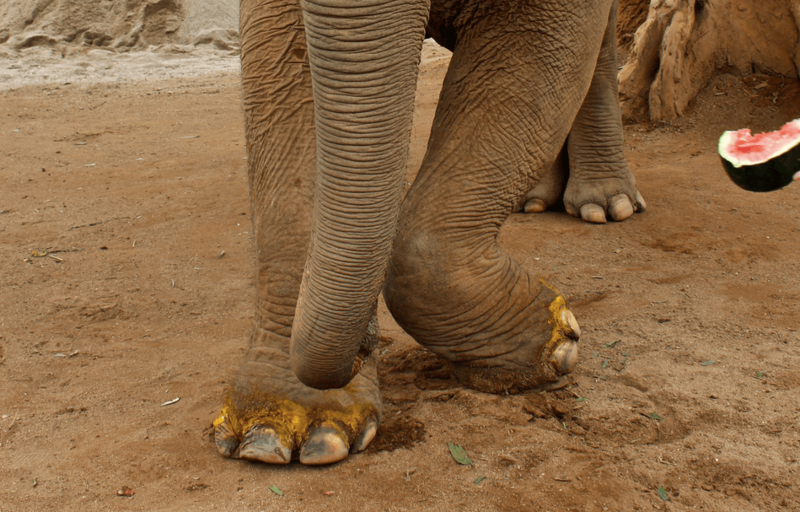 From the open wounds brought on by this horrid process, some elephants are then “healed” with motor oil to cover up the sores. Other try to kill themselves by stepping on their own trunk, the elephant’s only form of suicide. All of this is sickening, right? Much more so than the cooties you used to be worried about on the playground. But, the life of an elephant doesn’t have to be this way for us to enjoy their majestic nature and abilities. With all these horrific acts happening, places like Elephant Nature Park in Kuet Chang, Thailand are taking a stand against elephant abuse. Founded in 2003, 700 acres of land has become the home for numerous animals thanks to Elephant Nature Park. A total of 74 elephants currently live in this animal sanctuary just outside Chiang Mai, but around 200 have been saved and are living in other sanctuaries around Asia because of their dedication to rehabilitation. Safe spaces like these give elephants a second chance at life. These gentle giants are able to roam free, play, and get bathed in the forgiving waters of nearby rivers, and let’s not forget about the massive amounts of food they are given on a daily basis! Along with being able to live without the stress of poachers, the crush, and other strains wild elephants face, elephants in these sanctuaries also go through rehabilitation to help them grow healthy and happy once again. No matter the difficulties an elephant has faced in the past, the people of Elephant Nature Park are on it like flies on an “elephant landmine” (which is elephant poop according to Su, one of Elephant Nature Parks clever tour guides) when a new elephant arrives. Elephant Nature Park gives elephants a second chance at life, and a renewed sense of hope that they will never face the challenges of the past. Not only is the Elephant Nature Park a home for elephants, it is also a home for dogs and cats (which are up for adoption! ), water buffalo, and monkeys. I’m not monkeying around, there are really that many animals being cared for by the incredible staff of Elephant Nature Park! With the sound of barking, meows, and wagging tails surrounding you, once you visit the park it is hard to leave without making a new best friend. 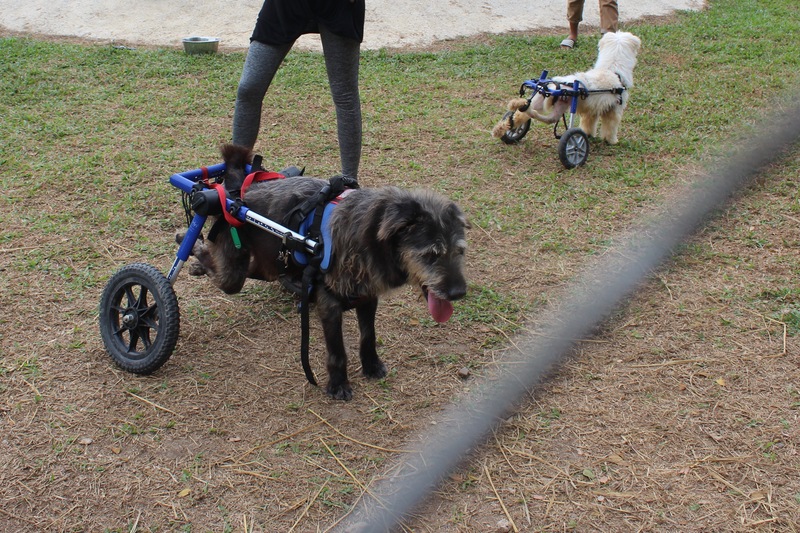 Trust me, from my experience, it’s really hard to not want to adopt a pup after you visit Elephant Nature Park; some even have their own fresh set of wheels! We’ve got elephantastic news for you! Just like humans, elephants pass on knowledge from generation to generation, because they are social mammals. So, do as the elephants do to get involved in saving more of them! You can get involved by sharing the knowledge you’ve gained, explaining the horrible treatment of elephant in some parts of the world, and telling others how they can make an impact by supporting places like Elephant Nature Park. Knowledge is power, and power evokes change. To add, always do your research and never visit elephant camps, never take elephant rides, and only visit accredited sanctuaries. 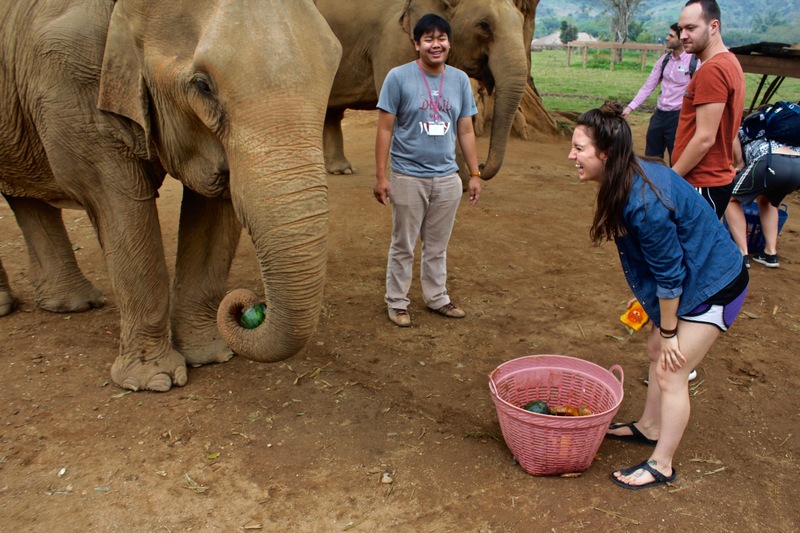 If you’re really ready to jump on the elephant-saving-bandwagon, then you can become a volunteer at Elephant Nature Park, or even drop in for a day visit if you have plans of traveling to Thailand, either way, your support will be greatly appreciated. 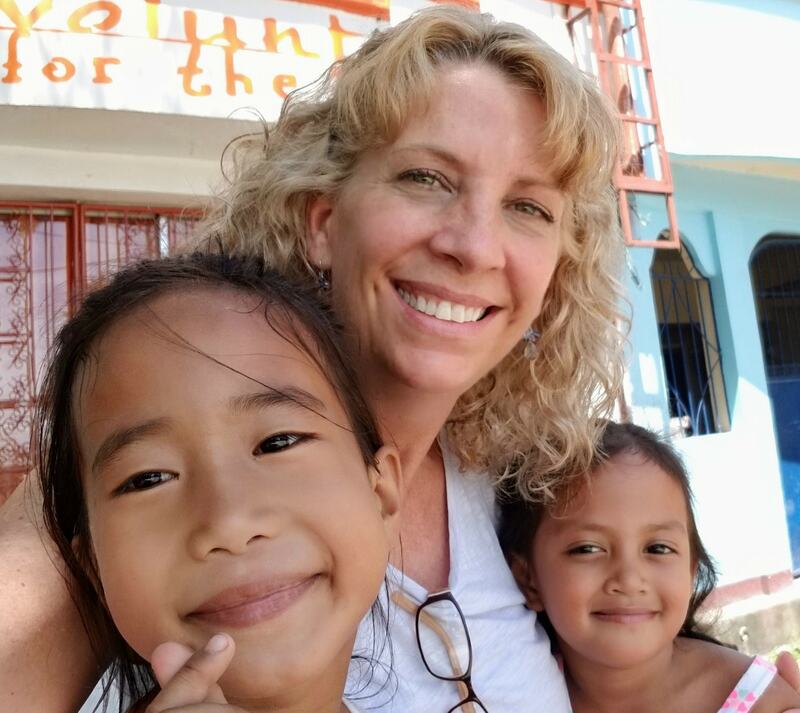 Maybe booking a trip to Thailand didn’t make your new year’s resolution list, so how about taking the GoAbroad Foundation pledge instead? For as little as $1 a month, you can support organizations like Elephant Nature Park around the world. Get involved this month and your donation will support the rehabilitation of elephants at Elephant Nature Park. 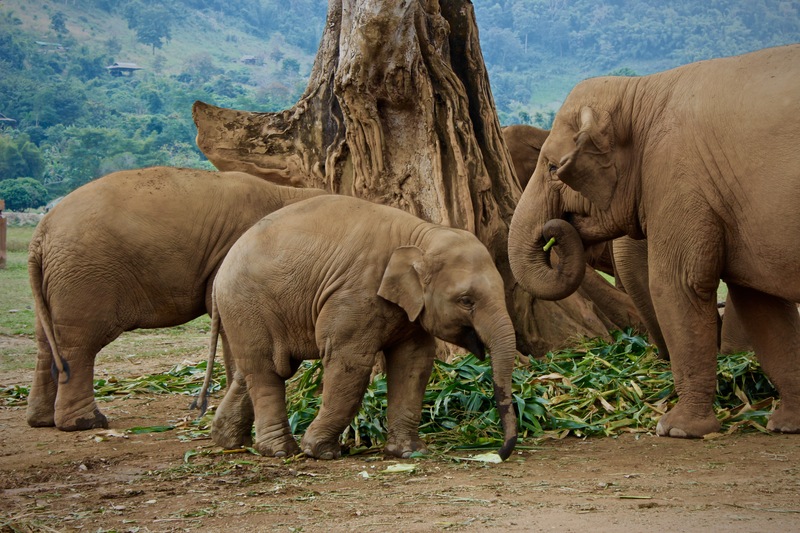 Join the Herd Supporting Elephant Nature Park – Take the Pledge now!